Ready. Set. Write! 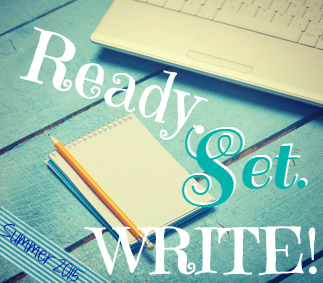 #RSWrite – 7th update! Continue yoga at least 3 times a week and if my back feels better, run at least once. –> my back has been better but I didn’t do any workout this week. Write a selfpub post –> Done. Finish timeline and create timeline for Always Second Best –> Tough one but a bit more clarity. Surprising. Em & Nick have a mind of their own, that’s for sure. Balancing my release and writing. I am SO very much looking forward to reading all about your progress! Thank you so much, Katy 🙂 I have a feeling I’m running in circles but I guess I am getting things done, so yay! Can’t wait to see you and Sara on Thursday! Yay!!! So glad ASLNO will be out this week! Happy early Release Day! Also, side characters, IMHO, are the best. And I love that yours are speaking to you. Good luck this week balancing, but definitely enjoy Thursday! So excited for you! Thank you SO MUCH Alison, also for all your help! ❤ Hope you're having a fantastic week! Thank you so much Tonja 🙂 Sometimes it feels like I need to go back and check just to make sure I’ve done what I was supposed to do, that’s why I absolutely love to-do lists 🙂 They keep me accountable. And thanks again so much for Thursday! Hope you’re having a great week! Yay for release week! Sending you all sorts of happy thoughts for Thursday. Though since I’ve now read ASLNO and loved it, I know the release will go great! Congrats on getting some words on the next installment. I’m so excited to see where Em and Nick go. Thanks again so much for reading it! 🙂 And hope you’re having a wonderful week, Susan! Happy release week!! I’m impressed that you’re doing so much this week! Woohoo! Congrats on your book release this week–definitely take time to enjoy it! 🙂 Good luck on all your goals. YAY! Congrats on your upcoming book release! That is so exciting 🙂 Also, good luck with everything that you hope to accomplish amid said book release. We think you can give yourself a break if you don’t happen to get all of the things done, though. Enjoy yourself this week and try to pat yourself on the back! Thank you so very much! I’ll definitely take some time to enjoy my release on Thursday and then my husband planned a nice evening on Saturday 🙂 Hope you’re having a wonderful week! Just pre-ordered your book! Not only does it sound fab, but whoever decided to make it only .99 on Amazon was a genius ;). You’re right about it being a new week 🙂 I did go jogging and did yoga this morning so yay! Hope your week is off to a great start! Happy Release day to you on Thursday! So exciting!! Looking forward to reading it. Good luck on your other goals this week. Thank you so much 🙂 Hope you’re having a wonderful week! I’d say your goals were more on the “yay” side, considering all that you’ve got going on right now. And I love that your characters have been surprising you. I think that’s a sign there’s really something to the story when your characters are real enough to do that. Best of luck with your book release and with your next goals, Elodie! Thank you so much, Erin! 🙂 I think I’ll indeed see the glass half full instead of half empty for my goals last week! Hope you’re having a wonderful start of your week! So glad your back is feeling better and yay for your release day!!! And don’t stress out. The release will go just fine. You know it. Thanks a lot 🙂 I am trying to keep cool about the release. Jogging and yoga helped me this morning and to-do lists 🙂 Hope you’re having a great start of the week!